Last year, my husband started a weekly ritual with the girls. Each and every Sunday morning, they wake to enjoy "Pancake Sundays." Either my husband will make the girls pancakes of their choice -- usually chocolate chip. Or, the girls will want to help out using pancake shapers we have to make their favorite animals or characters, and then add all their favorite pancake toppings -- think whipped cream, maple syrup, fresh cut fruit, and sprinkles. The girls look forward to the weekends as they know that when Sunday rolls around, they get to have Daddy/Daughter time with him, while I get to sleep in or just lay in bed without having to rush and play open kitchen for breakfast. Now that I think about it...it is funny how the girls always want something different when it comes to lunch and dinner, than what I cooked up...but, come Sundays, they are all smiles with whatever pancakes my husbands whips up for them. Go figure! 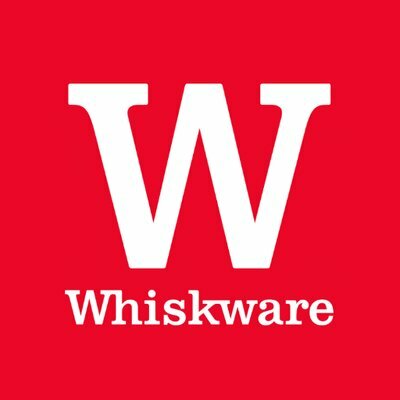 Knowing just how much my girls love "Pancake Sundays" with my husband, I reach out the folks at Whiskware by BlenderBottle to see if they could send along a couple of their pancake shapers and Pancake Art Kit for my husband and girls to use for their weekly pancake breakfast together. Within a few days of asking, the following arrived at my doorstep. "Up your breakfast game, and get the kids in on the kitchen action. The Whiskware™ Pancake Art Kit makes cooking creative breakfasts easy, fast, and fun. 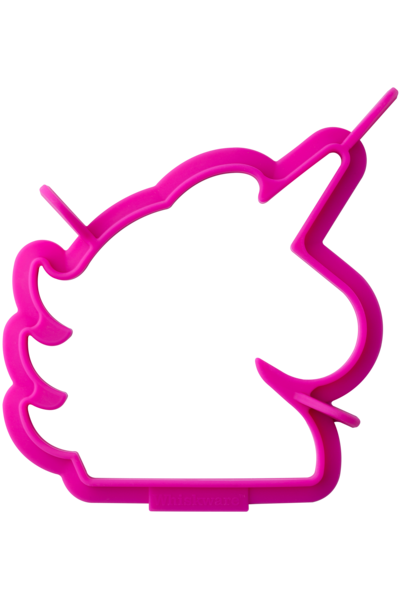 The kit includes the Whiskware™ Batter Mixer, a Pancake Art Bottle, and two individual Pancake Shapers." In addition to the pancake art kit and silicone pancake shapers, the folks at Whiskware by BlenderBottle also sent along a sample of their Stackable Snack and GoStak for me to check out. These two portable snacking containers made prepping the girls' pancaking topping station a breeze. Usually I will cut up fresh strawberries and other fruit the night before and store in plastic containers, so they don't have to use knives, or for the need of extra cleanup come Pancake Sunday morning. I really liked the GoStak, which is stain and odor resistant. It is just the right size to hold sprinkles, chocolate chips, shredded coconut and other tasty toppings the girls put on their pancakes. And, when we aren't using these stackable snack containers for Pancake Sunday, I use this and the Stackable Snack Pack for their homeschool classes outside the house where they need to bring a snack. I don't have to worry about spills in their lunch totes, or limiting what they can bring for snack as I don't have the right containers to hold stuff. The Stackable Snack Pack comes with twist n' lock lids and are perfect for storing fruit, veggies and even protein/grain snacks. If your family loves pancakes or you have a tradition of making pancakes during the holidays, then you will definitely want to pick up the Pancake Art Kit from Whiskware by BlenderBottle. My girls and husband love it, and say it makes Pancake Sunday much more fun as they get to make dinosaur, unicorn or gingerbread shapes pancakes, and then decorate with their favorite toppings. This is one of those products you buy and will use for years to come. And, while you are over at the Whiskware website, why not check out their portable storage containers. I can't stop raving about these storage containers to family and friends, and can't wait to buy more and through out all the mis-matched storage containers that are taking up shelves in my kitchen cupboards.